This Florentine Quilt Designed by Lynda McElray, The Pattern by Jinny Beyer, and it's available for free. This stunning quilt features a sparkling central design framed by a large-scale border print stripe. The beautifully shaded diamond units are easy to construct using strip-piecing techniques. 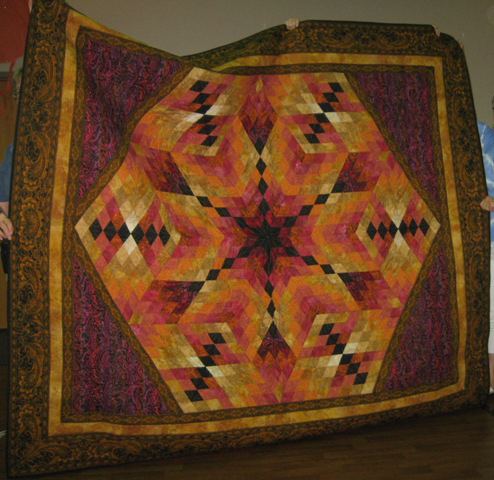 Inset seams are used in assembling the quilt top, and the borders are mitered.